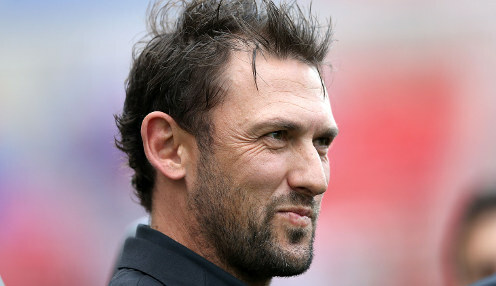 Coach Tony Popovic says he's not worried about complacency creeping into his Perth Glory side in the final rounds of the A-League season. The Glory moved nine points clear at the top with a 2-0 win away to Adelaide United, where Diego Castro and Andy Keogh scored. This group, the consistency is there, so there is no thought in my mind about complacency. Perth have played a game more than second-placed Sydney FC, who are bidding for a third consecutive Premier's Plate. But they have now gone 13 games unbeaten, winning nine of those matches, and look tough to stop. The Glory have just finished a tough sequence of three consecutive away matches, and now have three of their remaining five games at home. Popovic says the team can improve further, though, after they squandered a number of chances at Coopers Stadium. "You need to punish teams when you're on top and you get clear opportunities. And we had numerous chances in the box ... to really put the game away and we didn't," added the former Western Sydney coach. Perth have only lost one of their 22 games this season, and Popovic says they will maintain their focus for the rest of the campaign. "This group, the consistency is there, so there is no thought in my mind about complacency," he added. "When I see them train every day, there's no reason to even suggest it (complacency) to the players, to search for it, because it's not there." The Glory have never won the Grand Final since the A-League was launched, despite having had much success in its predecessor the NSL. Popovic, who has given his players three days off ahead of their home clash with Melbourne Victory on 30th March, said the club hadn't spoken about expectation changing anything. "We have spoken throughout the whole year about creating a possibility to win trophies - that is what we speak about all the time," he added. "Clearly the opportunity is still there now so we continue with that message and we'll see where it takes us." Sydney are 5/1 to win the game 1-0.